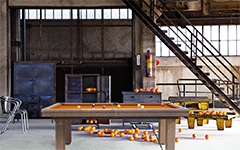 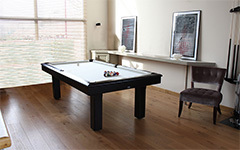 Billiard tables in the Contemporary range are customizable, modern, and attractive. 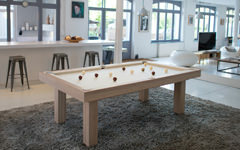 You can choose leg shape, cloth color, and wood color. 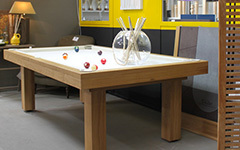 Tables can easily be transformed into dining tables, fitting in perfectly with your interior !